Turning my attention to my backlog of post-Edinburgh reviews, the Stephen Joseph Theatre, as always, has had a busy summer, with three plays on the go over August. This visit was a memorable one, not least because – in the theatre – someone managed to mistake me for Alan Ayckbourn. I kid you not. (I won’t embarrass the individual concerned by saying who he was or how this misunderstanding came about.) But enough of that, back to the plays. One is a new venture going in the right direction, another is a tried and tested venture, but the third is going in the wrong direction. I’m going to start this roundup with Screenplay, which may not be the most high-profile of their shows, but it is the most interesting – and arguably the most important. This is the flagship event of the new writing programme from recently-appointed associate director Henry Bell. This arose from a script call last year, and a group of short-listed writers were invited to write a short play with an over-arching theme of cinema since the opening of the original Scarborough Odeon. (It also had to use the cast of Cox and Box, which I will get to later.) From this, four ideas were chosen, developed into four plays (either as four stand-alone lunchtime pieces or a quadruple bill), and here we are. So, how does it do? The Schoolmistress, like most Christmas productions, is undemanding entertainment. But credit nonetheless to the Stephen Joseph Theatre for something that was arguably a gamble. If you fancy a bit of theatre between late November and early January, you normally get the choice of pantomimes, pantomimes, pantomimes, pantomimes or pantomimes. Oh joy (that was sarcasm). I appreciate that pantomimes are a big revenue-earner – and yes, it means that theatres can do more of the stuff the rest of us like the other ten months of the year – but over Christmas, you’re whatever the opposite of spoilt for choice is. Some theatres doing “family” plays rather than pantos, but if you’re looking for anything with a target audience over 12, you’ve got to look further afield. And for me in Durham, the closest thing I can find on offer is at Scarborough. Chris Monks’s Soul Man is a worthy effort to bring Verdi’s Rigoletto up to date – but branding the play as a soul extravaganza doesn’t do it justice. 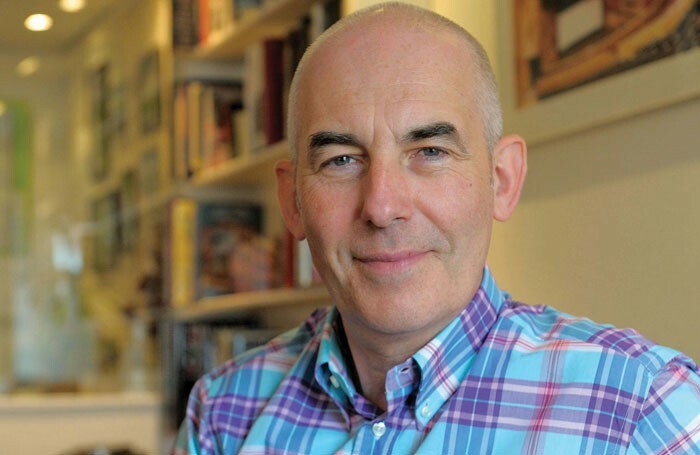 Anyone who’s been following events at the Stephen Joseph Theatre will know that since Alan Ayckbourn stepped down as Artistic Director in 2009, his successor Chris Monks has been hard at work establishing himself. Amongst other thing, he’s been bringing his popular adaptations of operas. So far, Scarborough has seen the Mafia version of The Pirates of Penzance, the cricket version of The Mikado and a modern-day version of Carmen where the title character works in a shopping centre. However, the last three years have been re-runs of his greatest hits; this year, it’s back to the donkey work of trying something new and hoping it works.